I currently have a copy of x pro and I never used it before, but I would like to use it on a project that is coming up and my support has expired and i have a question I was hoping you can help me with which is not really a support related. I really like x pro and all the features it offers. I was looking at your website, theme.co, and I see that it is built with wordpress. I am assuming you guys used your own theme to built it. However, when I looked at the code, it does not show any of the normal included WordPress scripts in the header section, so if someone without experience looks at it they will not be able to figure out that it was built with wordpress. My question is, is this a pro feature? I installed wordpress locally with pro as the main theme, and my page code looks like a normal wordpress code. can you please point me to the right direction so i can use that feature on our website as well? 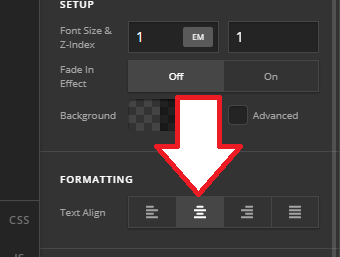 Let's do it with Pro, first, the floating icons and menu, you'll have to create a Pro header and assign it to your page or globally. Please check this https://theme.co/apex/forum/t/pro-header-and-footer-builder-introduction/103. You'll have to set your header bar position to absolute and change its background to transparent. 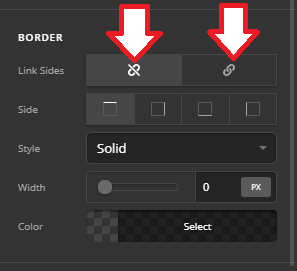 Then add two container within that header bar and add your images on each, make sure to align your container's image to the left and right. 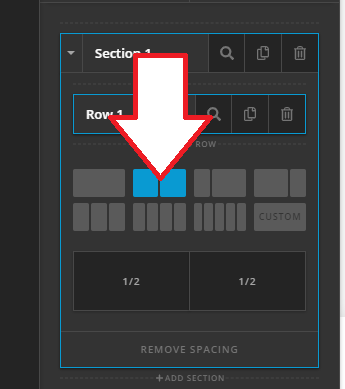 But it's automatic ( alignment ) if you created it from from scratch based on the above header setting. The result is similar to this but I tried the button instead of image. Then simply add content and elements to those columns making it similar to theme.co. Like image, buttons, and so on. Then just align them to the center by inspecting the columns and choose the center alignment. 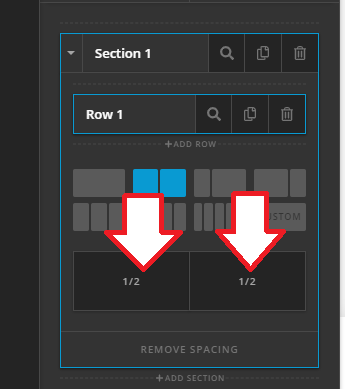 As for the table layout, it should be the same as adding section, rows, and columns, but this time, you'll have to use the border option of the columns. That should do it, the content depends on your preference but should be doable and achievable with Pro without custom CSS. Thank you for the reply. What I was refering to was the code behind the page. For example if you view the source code of a wordpress website you can see the typical includes in the header area but on your website this is minimal. and https://theme.co/apex/ has even leaner code. Here is the screen shot. I installed X pro on a local host and the code for the home page with no content has lots of includes that are typical from a wordpress install. My original question was how to make it look like your website where all the included js and css are not showing. Regretfully that is not possible. Those sites are not made in wordpress and is not considered as one of our demo pages. It is custom made which is used specifically for our business purposes. You can check our demo pages to compare.